Anti-choice leaders at a Conservative Political Action Conference panel had conflicting opinions on whether Senate Republicans should do away with the filibuster to force through bills to restrict or end abortion access. The four activists gave their input on Senate rules that have so far stood between them and their legislative victories during the late Thursday afternoon “Are Conservatives Serious about Defunding Planned Parenthood?” panel. 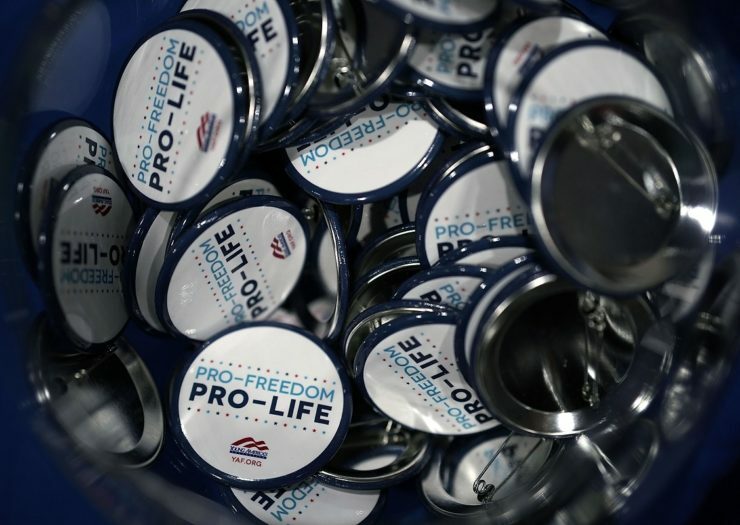 High-profile women at the annual Conservative Political Action Conference (CPAC) didn’t convey a unified strategy about how to pass anti-choice bills in the absence of a GOP supermajority in the U.S. Senate. The four activists gave their input on Senate rules that have so far stood between them and their legislative victories during the late Thursday afternoon “Are Conservatives Serious about Defunding Planned Parenthood?” panel.The Senate’s 60-vote threshold in January stopped an unconstitutional 20-week abortion ban from advancing to a final vote and onto President Trump’s desk for his promised signature into law. Triggering the “nuclear option” would get rid of the threat of a filibuster, or unlimited debate on an issue, and allow a simple 51-vote majority for a bill’s passage. Former Senate Majority Leader Harry Reid (D-NV) triggered the nuclear option to confirm most presidential picks, and current Senate Majority Leader Mitch McConnell (R-KY) followed suit for U.S. Supreme Court justices. McConnell has so far resisted President Trump’s calls to completely end the filibuster. Rep. Trent Franks (R-AZ), the original lead sponsor of the 20-week ban passed by the U.S. House of Representatives, frequently criticized both the filibuster and McConnell. Franks, however, resigned in December when news broke that he had asked female staffers to bear his child via surrogacy, and other congressional Republicans haven’t expressed the same zeal for eliminating the filibuster. The CPAC panelists had different takes on the filibuster in response to a question from the white nationalist publication Breitbart News. Concerned Women for America CEO and President Penny Young Nance took a measured approach. Nuking the filibuster was seemingly not a priority for Kelly Marcum, a government affairs office coordinator for the Family Research Council, a Southern Poverty Law Center-designated anti-LGBTQ hate group. “There’s frustration, but there’s also a lot of strategy obviously that goes on in those conversations about what merits that decision,” Marcum told the audience. While Marcum said she shared the frustration that Breitbart News referenced in its filibuster question, she lauded McConnell’s “very useful, very strategic move” to bring up the 20-week ban, forcing red-state Senate Democrats to “have that negative vote on record” as they head into the midterm elections. The strategy Marcum outlined doubled down on one that Susan B. Anthony (SBA) List President Marjorie Dannenfelser detailed to Rewire in 2017. The groups hope to increase Republicans’ Senate majority and end the legislative firewall between a nationwide prohibition on legal abortion care at 20 weeks, further eroding access as they work to do away with it entirely. At CPAC, Marcum name-checked Sen. Heidi Heitkamp (D-ND), falsely claiming that she high-fived Senate Majority Leader Chuck Schumer (D-NY) over her nay vote on the 20-week ban. Marcum also mentioned Sens. Claire McCaskill (MO) and Sherrod Brown (OH); both, along with Heitkamp, are targets of SBA List ad campaigns against the pro-choice Democrats in states that Trump won in 2016. That plan, however, could just as well backfire, according to a Rewire analysis following the failed Senate vote on the 20-week ban. Recent polling indicates that Democrats across the board could benefit at the ballot box from embracing abortion rights, rather than running from them. Day Gardner, founder and president of the National Black Pro-Life Union and associate director of the National Pro-Life Center, was the only CPAC panelist to endorse nuking the Senate’s filibuster for the sake of immediate anti-choice victory. “In understanding that you can’t get the 60 votes right now, my first thought was then, ‘Let’s just kind of go nuclear,’” Gardner said. Americans United for Life President and CEO Catherine Glenn Foster didn’t remark on the filibuster. The pro-choice and pro-abortion movements MUST ORGANIZE and fight these morons with knowledge and by teaching so if they do take safe medical care away we won’t all be risking our lives -at least not to the same extent as we would without knowledge- they are fueled by hate and deceit; if the law won’t protect truth and women then we really, really need to be organizing… It’s only right women know the truth about all options from abortion to giving unwanted birth or wanted birth even… If they were really pro-life they wouldn’t be intimidated by facts and would want to know the truths the anti-lifers shun with such passion… It’s our job to make sure that knowledge gets out…viral…. Hey I like that name.